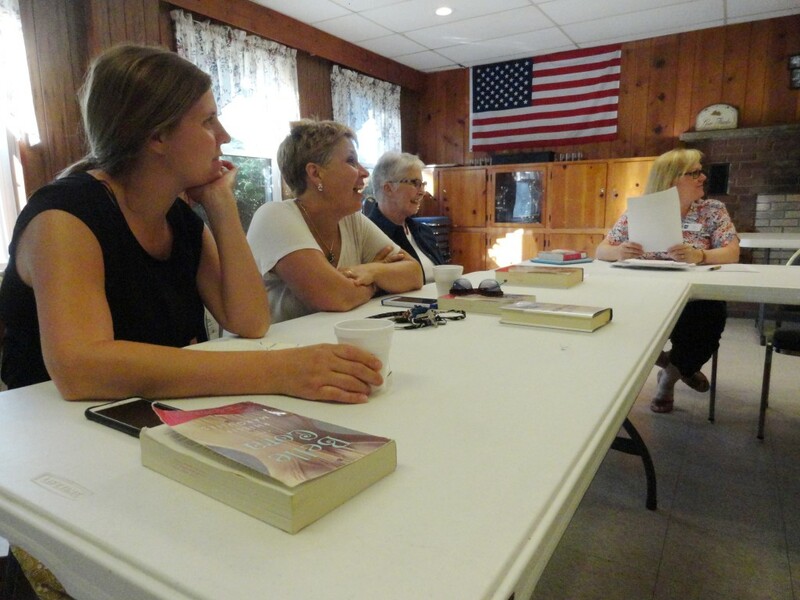 Our Headlands Book Club discusses “Belle Cora” by Phillipa Margulies during its most recent meeting. Are you looking for a book club to join? Something low pressure that’ll expand your reading taste and introduce you to other readers? Consider our Headlands Book Club. We meet each month at the Headlands Community Center to discuss a different book—typically popular fiction, but we switch it up occasionally. Oh, and we have snacks. Our next meeting is 6:30 p.m. on Wednesday, July 19. We’ll discuss Where’d You Go, Bernadette by Maria Semple. If you’d like to join us, you can borrow a copy of the book from the library. By the way, we have all sorts of book clubs for all different tastes: art lovers; mystery enthusiasts; seniors; even a book club for people who like to color. All of our book clubs are open to everyone and free to join. If you have any questions about our book clubs, give us a call. This entry was posted in Uncategorized and tagged book clubs, Headlands Branch, Maria Semple, Mentor Public Library. Bookmark the permalink.